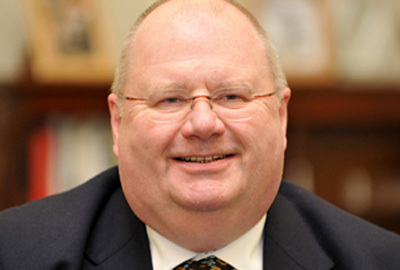 The local infrastructure body Navca has asked Eric Pickles, the communities secretary, to intervene in the case of the Conservative-led Nottinghamshire County Council, which it says has made disproportionate funding cuts to the voluntary sector. In a letter to Pickles, Kevin Curley, chief executive of Navca, says the council has cut its budget for supporting the voluntary sector from £3.2m in 2010/11 to £1.4m in 2011/12, a reduction of 56 per cent. It says this percentage is "very much higher than overall cuts made by Nottinghamshire County Council to its own services". The council disputes the figure, saying its budget for voluntary sector grants fell from £3.2m in 2010/11 to £2.1m in 2011/12, a cut of 34 per cent. A council spokesman said its total budget rose this year, from £483m to £506m, but stressed that there was also a significant increase in demand for its services. He said the council had made £87m worth of savings in 2011/12 and reinvested £42m of this in services including adult and children’s social care. Curley’s letter says the cuts to the voluntary sector budget were made before the introduction in September of statutory guidance from the Pickles’ Communities and Local Government department, which says councils "should seek to avoid passing on disproportionate reductions by not passing on larger reductions to the voluntary and community sector and small businesses as a whole, than they take on themselves." The letter warns that, had the guidance been available before the cuts were made, the local voluntary sector "would have been in a position to challenge the council". It urges Pickles to ask Kay Cutts, the leader of the council, to reinstate some of the voluntary sector budget "so that the cut in voluntary sector funding is in proportion to the cuts the council has made in its own services". In a statement, a spokesman for the council said it was not aware of Curley’s letter. He said the council had "had to make difficult decisions about our budget due to reduced government grants and increasing demand for a number of critical services". He also said the council had cut red tape to make it easier for charities to apply for grants. The Communities and Local Government department did not respond to a request for comment.